Sharing the Holiday Spirit with Less Fortunate | Grunau Company, Inc.
Grunau employees love sharing the holiday spirit with those who are less fortunate. The holidays for many means food, family, traditions and holiday cheer. Although for some families in the communities we serve, the holidays are a time of continued struggle. Each year, our headquarters and branch offices generously participate in charity drives to help support our communities. 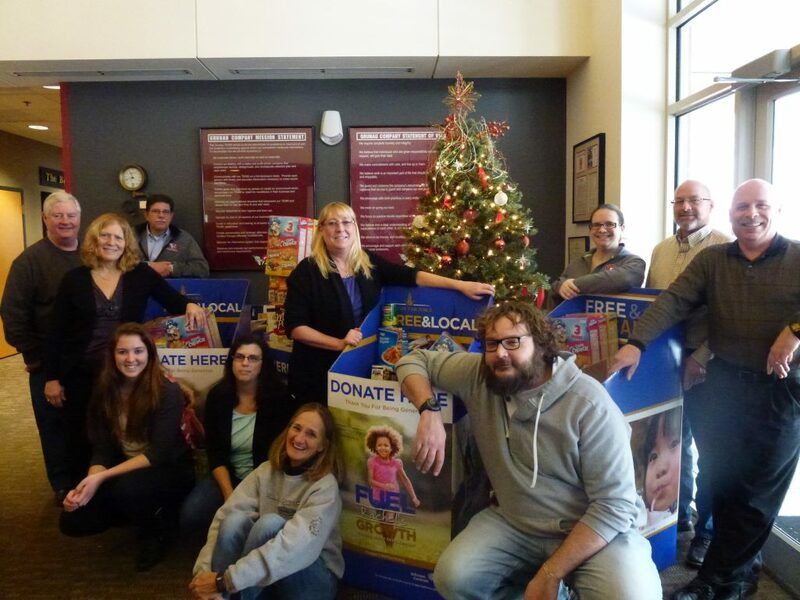 In December 2016, Milwaukee employees in the field, shops, and office, filled several huge boxes with non-perishable foods. The 798 pounds of food was then donated to the Hunger Task Force. This gift helped many families who face hunger to share warm, holiday memories over their nutritious, delicious dinner tables. Also a holiday collection of toys and cash, which was subsequently used to purchase store gift cards, were donated to the Ronald McDonald House of Eastern Wisconsin. Grunau’s support makes a difference for those families who are staying at the House while they have an ill child in the nearby hospitals. In Pittsburgh, Grunau employees held a toy drive to give less fortunate children a Christmas present this year. Spare change was collected in a jug to raise $526 for Toys for Tots of Northwest Allegheny County and Beaver County. As the holiday spirit is known to spread, so was the case in Pittsburgh. 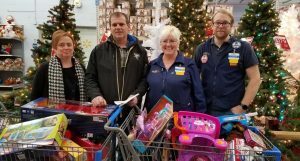 A team of Grunau employees filled 3 shopping carts with toys at a nearby Walmart store. While purchasing the toys to donate to Toys for Tots, they met a young mother and her 8-year-old daughter who wanted to know who they were purchasing all of the toys for. When explained, she wanted to help too and donated another $50 towards the toy purchases. Then Walmart generously kicked in a $50 gift card. All total, Grunau PA bought $626 worth of toys for the Northwest Allegheny County and Beaver County children. Especially during the holiday season, the caring and sharing by employees is an evident part of Grunau’s culture.